LolaFlora has an infinite supply of several different mixed bouquets, just for you! That way you can really choose the right mixed bouquet for your loved one. What makes a beautiful mixed bouquet so special? The ability to mix and match favorite flowers, whether it is a traditional mixed rose bouquet or special flowers like a red and white mixed bouquet to celebrate the holiday season. But, it's not all red roses and chrysanthemums with us (unless you want it to be, of course!). You can send flowers to anyone, all over the world with your gift notes. Here at LolaFlora, we have a wide variety of options of mixed flower bouquets, so you can choose if you want your beautiful flower bouquet to have: Carnation, Daisies, Gerbera, Lilies, Lisianthus, Roses, Potted Flowers And more! On your special day, you’ll want to have the perfect bouquet to help you complete your wedding look. LolaFlora florists are experts in wedding flowers. Let us put together a white orchid bouquet or a mixed lily bouquet to add a splash of color to your ensemble. 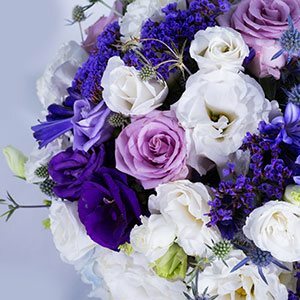 You can order bridal bouquets online for hassle-free wedding planning. Go ahead and browse our selection of mixed flower bouquets. The options are endless, and the colors are bound to tickle your senses! 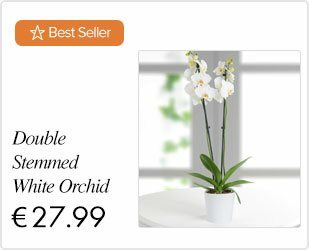 We have the brightest and freshest flower arrangements available, and we deliver each bouquet on time, every time with our online flower delivery. No more waiting to get your mixed flower bouquet! Now you can get a gorgeous flower bouquet, without having to wait. Looking for a “just because” bouquet that won’t cost you much? Choose a cheap mixed bouquet such as white daisies, carnations or a gerbera bouquet delivery. While you may be able to go to a local florist and pick something out, the flowers aren't going to be as spectacular and as bright, with premium flowers, like ours is. 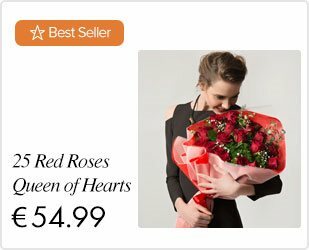 We have selected the perfect online flower arrangements and deliver our clients nothing but supreme, quality blooms for any occasion. Browse our "Mixed Bouquets" section and find the one that's just right for you.